Firewatch Nintendo Switch Release Date Announced . The Nintendo Switch continues to get great games , Developer Campo Santo has announced that its acclaimed 2016 adventure game . 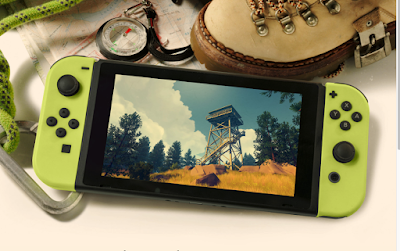 Firewatch is coming to Nintendo Switch on 17 December 2018 . It's arrives on Nintendo Switch via eShop in the Americas , Europe ,Australia and Japan . It's being published by the Portland , Oregon based independent studio Panic . Firewatch takes place in the Wyoming wilderness and puts you in the role of Henry , a Man with a troubled past who seeks a new life lookout . The other Highlighted character is Delilah whom Henry speaks with using a walkie - talkie .The game was already released in Feb 2016 for PC , PS4 and Xbox One .